Served US Army 90th Division, 315th Engineers Company A. Retired Captain. Recipient of the Purple Heart and Silver Star. during his tour, finally reaching the rank of Capitan. I am working on obtaining the paperwork for this Silver Star and Purple Heart. While stationed at Fort Dix (Jan. 1944 to Mar. 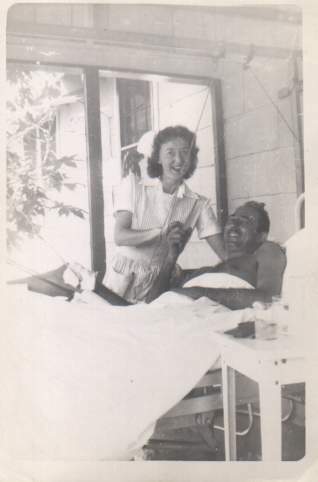 1944) in New Jersey he met my mother. She was a USO event coordinator bringing girls from the Philadelphia area over to Fort Dix on Friday and Saturday evenings to dance with the men stationed there. They became acquainted there and remained in contact throughout his tour. After he was wounded (hit by shrapnel or bullet in his leg) he was shipped back stateside. He spent about a year recovering at Valley Forge army hospital. When he was released he retired (active duty) and married. He secured a job as Chief Engineer for a Philadelphia company and raised 4 children. He died on Nov. 19th 1971 of a massive cerebral hemorrhage. He is buried at Saint Peter and Paul cemetery in Springfield PA.
during a fierce firefight in a semi wooded area (this was during the winter as he said there was snow on the ground.) Shortly after my father was hit his company had to pull back leaving my father there. From my fathers account, after he was hit and his company pulled back the Germans advanced looting what they could from the wounded and dead. They stripped him of his clothing and left him in the snow. At one point a German soldier had pointed his weapon at my father and was about to shoot him. Another soldier intervened. My father thought the other soldier may have said something like he is going to die anyway. He laid there all that evening, packing snow around his leg to slow the bleeding. He had hid a pack of matches between his legs (a common practice from what I was told) but dared not light them for fear that the Germans would return and shoot him. The following morning his company was able to advance and tend to the dead and wounded. My fathers friend (Curtis) made sure my father was quickly evacuated. Curtis had come to visit us seeking forgiveness from my mother for leaving my father on that day. There was no need for forgiveness, he had done nothing wrong. 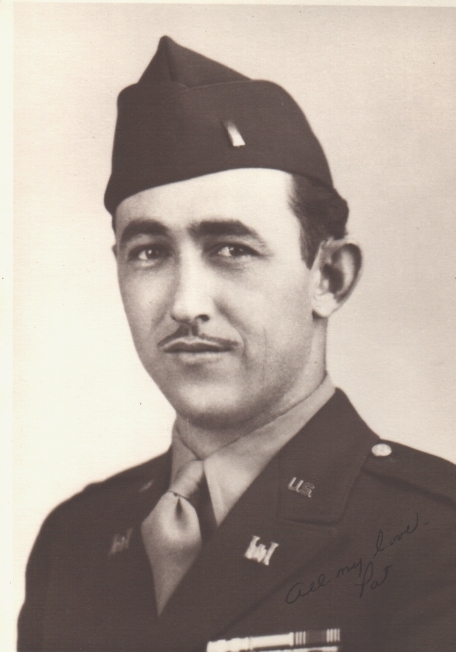 I think what struck me most about my father was he never talked about the circumstances leading up to him receiving the Silver Star. My family and I would like to thank you for the work you are doing. The 5 second clip of our father is the only movie footage we have of him. While it is brief, it has brought enormous joy to us.